From sciatic pain to disc herniation's , we provide Pain Relieving treatments to better your life. We are your hometown Lewisville Chiropractor, proudly adjusting Lewisville and the surrounding areas. You can rest assured that you will receive the best possible care at Shine Chiropractic, providing Pain Relief. Dr. B. really listens to your concerns and designs a treatment plan that is tailored to address your specific problem. Whether you are dealing with a Sports Injury, Back Pain, Sciatica Pain, Neck Pain, Shoulder Pain, Knee Pain, Leg Pain, Headaches, Automobile Accident or some other pain or Injury, our Lewisville Chiropractic Center is here to help you! Talk with a Chiropractor Today and see how fast your pain can go away! Call us for a completely free Chiropractic Consultation. It is time to call a Lewisville Chiropractor - don’t put off today living your life at your fullest potential! 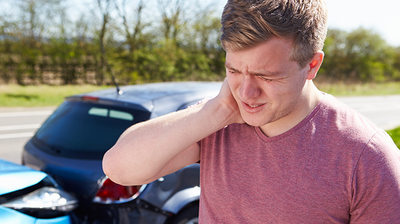 Suffering from neck pain after a car crash? Call for your Auto Accident Injury Chiropractor in Lewisville. Children shouldn't have aches and pain. Chiropractic can relieve your child's pain without the need for medication. Chiropractic restores the health and mobility of the spine to provide lasting, effective relief from Sports Injuries. As a Local, Lewisville Chiropractor near you, Dr. B goes above and beyond to help her Patients! Dr. B offers Pain Relief Treatments for Sciatica Nerve Pain Relief, Back Pain Relief, Herniated Disc Pain Relief, Lower Back Pain Relief, Leg Pain Relief, Neck Pain Relief, Shoulder Pain Relief, Foot Pain Relief, Headache Relief and more! Utilizing low force Chiropractic Techniques, Dr. B specializes in Pediatric Chiropractic, Chiropractic for Teenagers, and is able to provide Chiropractic Care for Adults of all ages. We are your Local Chiropractor near you! As a Lewisville Chiropractor, we provide Chiropractic Adjustments for Patients seeking Sciatic Pain relief and Back and Neck Pain relief from Grapevine, Coppell, Carrolton, The Colony, Hebron, Copper Canyon, Southlake, Highland Village, Farmers Branch, Flower Mound, Westlake, Trophy Club, Roanoke, Fort Worth and the surrounding area. It's not easy to find a Lewisville Chiropractor that can provide the Pain Relief and help that you need, so call us today to find out how Shine Chiropractic can help you with your Chronic Pain, Illness or other issue.